If you were able to attend WCF’s 23rd Partnership Meeting in Washington, D.C., I hope you enjoyed the range of topics and speakers covered over the two-day session. For me, the opening day presented two highlights that are sure to be remembered for years to come: remarks by Greg Page, chairman and CEO of Cargill, and Akinwumi Adesina, Nigeria’s federal minister of agriculture and rural development. It is a testimony to the increasing emphasis on cocoa sustainability that two forward-looking and inspirational leaders of such stature chose WCF as a platform for sharing their insights on issues confronting the cocoa sector. Page’s remarks (READ HERE) about the challenges and opportunities the agricultural sector faces in the coming years to feed an additional 2 billion people were nothing short of enlightening. He rightly pointed out that small scale farmers, including those growing cocoa and other tree and food crops, will continue to play a pivotal role in nourishing our planet. Minister Adesina masterfully delivered his government’s vision of Nigeria’s agricultural sector (READ HERE), including a desire to greatly expand cocoa production. We also were much honored to welcome back to our Partnership Meeting for the second consecutive year Massandjé Touré-Litse, director-general of Côte d’Ivoire’s Conseil du Café-Cacao, and Sylvie Yao, chief of staff in the Office of the First Lady of Côte d’Ivoire. Their overviews of changes in the Ivorian cocoa sector were given to a standing-room only audience and later received excellent media coverage in Abidjan. It was also encouraging to see so many of our partner organizations out in force for the Partnership Meeting. At the risk of omitting some, I do want to mention specifically Nick Weatherill, executive director of the International Cocoa Initiative (ICI Launches 2012 Annual Report), who is working closely with us on certain aspects of our CocoaMAP monitoring and evaluation platform, and Joost Oorthuizen, executive director of the Dutch Sustainable Trade Initiative (IDH Website), which is cooperating closely with WCF on the fertilizer component of WCF’s Cocoa Livelihoods Program (CLP). Other memorable highlights for me included the honor that WCF gave Richard Rogers, from the Bill & Melinda Gates Foundation, to recognize his leadership on CLP. In characteristically humorous fashion and during our 3rd Annual Gala Reception & Dinner, Larry Graham, president of the National Confectioner’s Association, accepted an award for his long time support of WCF. The Gala again this year was an especially relaxing and enjoyable way for the cocoa sustainability community to network outside the confines of Partnership Meeting sessions, all while taking in the riverside sites of Washington, D.C., under a near-perfect early summer evening sky. None of this would have been possible without the generous support of WCF’s Executive Committee and Board, and especially our sponsors: Cargill; Barry Callebaut; Mondelez; ADM; Hersheys; Armajaro; Ferrero; Rizek Cacao, Roig Agro-Cacao; and Transmar Group . We are also very appreciative of significant support provided this year by the Dominican Republic Export & Investment Center and Olam. These sponsorships enable WCF to strengthen support for research and management exchanges in 2013 that involve Costa Rica, Côte d’Ivoire, Ghana, Indonesia, Liberia, Nigeria, the Philippines and Vietnam. As we look to the second half of the year, you will not want to miss the 24th WCF Partnership Meeting in Santo Domingo, Dominican Republic, on October 15-16, 2013. In addition to learning about the important role that cocoa plays in the Latin American/Caribbean region, we are also looking forward to organizing our first ever cocoa sustainability exhibition and to offering participants the opportunity to visit Dominican cocoa farms. I hope to see you there! 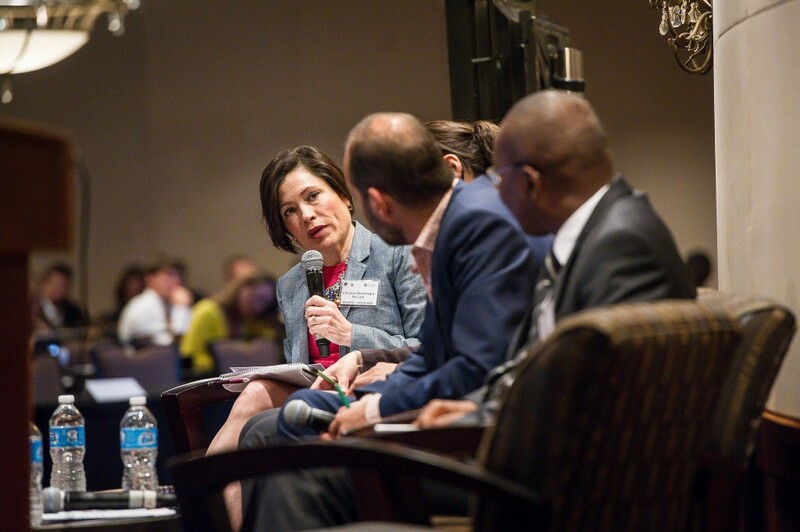 WCF’s 23rd Partnership Meeting took place in Washington, D.C., on June 5-6, 2013. Attendance for the meeting was especially strong, with nearly 300 people taking advantage of a range of sessions that explored issues critical to cocoa sustainability efforts. In conjunction with the Partnership Meeting, WCF held its 3rd Annual Gala Benefit Reception & Dinner, which raised funds for cocoa research and management exchange programs implemented by WCF. The meeting ended with an invitation, extended in-person by the Ambassador of the Dominican Republic to the United States, to attend WCF’s 24th Partnership Meeting, slated for October 15-16, 2013, in Santo Domingo. Three of the highlights from the 23rd Partnership Meeting undoubtedly were major addresses delivered on the morning of June 5 by Greg Page, chairman and CEO of Cargill, and Adewumi Adesina, Nigeria’s federal minister of agriculture and rural development. And, on June 6, meeting participants were treated to an especially informative session on Côte d’Ivoire, during which Massandjé Touré-Litse, executive director of the Conseil du Café-Cacao, and Sylvie Yao, chief of staff to Ivorian First Lady Dominique Ouattara, provided updates on cocoa sector reform and the fight against the worst forms of child labor in their country. In addition to the three landmark presentations, a series of breakout sessions covered topics ranging from technological innovations in the cocoa sustainability arena, including WCF’s recently expanded CocoaLink+ project in Côte d’Ivoire, to new frontiers in chocolate consumption. The latter focused on expected impacts at the farm level that will result from increased consumer demand for chocolate in China and India. WCF’s Cocoa Livelihoods Program, active in Cameroon, Côte d’Ivoire, Ghana and Nigeria, was the subject of another breakout session, which explored the program’s successes and challenges. The subjects of planting materials and fertilizer drew standing-room only participation and featured panelists representing the cocoa sector and research institutions. During the 3rd Annual Gala, WCF honored Larry Graham, president of the National Confectioners Association. The event raised nearly $30,000 for WCF’s research and exchange programs. In addition to the invitation extended by Ambassador Anibal de Castro for the cocoa sustainability community to gather in Santo Domingo on October 15-16, an educational session about the history of cacao in the Caribbean was delivered by Mars, Incorporated’s Ed Seguine, accompanied by a memorable tasting of chocolate samples made from Dominican cocoa. The event was sponsored by the following WCF member companies: Barry Callebaut; Cargill; Mondelez; ADM; The Hershey Company; Armajaro; Ferrero; Rizek Cacao; Roig Agro-Cacao; and Transmar Group. It was also supported by Dominican Republic Export & Investment Center and WCF member Olam. Session presentations and remarks are posted on WCF’s website at www.worldcocoa.org . to purchase and/or produce adequate amounts of food for their own consumption. In West Africa, approximately 2 million cocoa farmers average less than two dollars a day in revenue. In Ghana and Côte d’Ivoire, more than 80% of this income is derived from cocoa production. Along with cocoa production, most farmers produce some food crops (maize, cocoyam, cassava) and vegetables (tomatoes, beans), but not enough to meet the nutritional demands of their families. In addition to the overall risk to the well-being of the their families, nutritional deficits lead to productivity loss as farmers are too sick to work their farms, thereby further decreasing household income. Longer term negative effects also include malnourished children who may suffer from diet-related learning disabilities. WCF views cocoa farming as an integral part of addressing the food security challenge. First, as a perennial tree crop, good cocoa cultivation fosters crop diversity and the integration of other food crops, especially plantain, oil palm, cassava, fruit trees, and coconuts in permanent association, or food crops and vegetables in adjacent farms. Second, cocoa-focused training and capacity development activities produce transferable skills and benefits; a good cocoa farmer can more readily be a good farmer of other crops. For example, a farmer who applies fertilizer to cocoa can easily comprehend proper application procedures for fertilizer that is appropriate for plantain growing alongside his/her cocoa trees. Likewise, an extension staff person who develops skills while designing a cocoa farmer training program can apply those skills to developing a training program for another crop. Both of these outcomes directly address the element of food availability. Third, as a cash crop, cocoa can significantly improve household incomes and enhance food security by affording greater access (purchasing power) to the food markets. Through its programs, and especially those in West Africa, WCF is bridging the gap between cocoa production and food security. WCF’s Cocoa Livelihoods Program (CLP) is active in Cameroon, Côte d’Ivoire, Ghana and Nigeria, where it trains cocoa farmers and increases access to cocoa inputs (planting material, fertilizers, agrochemicals) to improve cocoa production on their farms, thereby increasing household income. 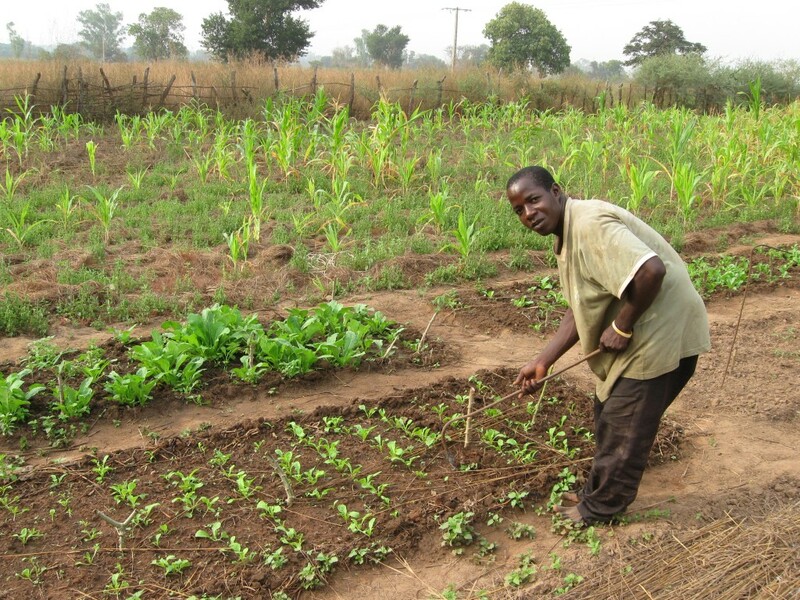 Farmers are also trained in improved farm management. Through farmer business trainings, cocoa farmers learn to diversify their farm activities and income sources, and scale up food production. CLP is developing financial mechanisms to allow farmers to purchase necessary inputs to increase cocoa and food crop yields. The program also directly targets women farmers, who account for 80% of the food crop and vegetable production within the cocoa farming households and are traditionally responsible for the well-being of their families. CLP beneficiaries are trained in financial management and household nutrition so they can make informed decisions on their farms and ensure they are addressing the needs of their families. As a result of CLP training, cocoa farmers have significantly increased their household income from higher yields of cocoa and the production of food crops and vegetables being sold in the local market. WCF plans to further develop and refine its programs in West Africa and around the world so that they directly address the challenges of food security across the cocoa sector. Nearly half of the work on cocoa farms in West Africa is carried out by women, who own barely a quarter of the region’s cocoa farms. Recent highly publicized reports have described the plight of many women who contribute to cocoa production. What can WCF do to empower women who are involved in cocoa production and, in doing so, improve the overall sustainability of the sector? Without owning the land they work, women involved in cocoa production are face obstacles in obtaining bank loans and belonging to farmer cooperatives, the preferred vehicle for distribution of vitally important inputs, such as fertilizer. Where women are able to join such groups, they often are reluctant to assume leadership roles. Women contend with traditions that have favored the education of boys over girls, and the provision of agricultural extension services to male cocoa farmers over their female counterparts. WCF, with support from the Bill & Melinda Gates Foundation, the German Ministry of Economic Cooperation and Development, the Dutch Sustainable Trade Initiative and more than a dozen WCF member companies, has established increased women participation as a key objective for the Cocoa Livelihoods Program (CLP). WCF is paying special attention to the number of women farmers who participate in its CLP training sessions; take advantage of services provided by FOs; enroll in credit programs; and hold positions on the boards of farmer organizations. WCF is also collecting relevant data, such as yield and income changes, and disaggregating the information for both men and women so that future program activities can be modified, if needed. WCF recognizes that outreach to women may not alone translate into tangible benefits. A range of options are under consideration as WCF seeks to address this quandary. They include increasing the number of female trainers in CLP farmer training sessions, encouraging women to assume leadership roles in farmer organizations and creating local farmer business school groups that are headed by women who serve as role models. Customization of training curricula to mirror tasks performed by women on cocoa farms could also improve women’s retention of the lessons learned during training sessions. To increase the level of women’s participation in its programs, WCF is exploring expansion of mobile phone-based agricultural extension services, already underway in Ghana and Côte d’Ivoire, so that women are directly reached with critical information. Another possible realignment for WCF’s programs would be to focus training more on family farms and less on individual farmers. On April 30, 2013, the EU Commission adopted its long awaited Staff Working Paper (SWP) on ‘Trade and Worst Forms of Child Labor’ (WFCL). This document is now open for discussion by the other EU institutions involved in the legislative process: namely the European Parliament and the Council (27 Member States). As the Commission had already made clear during meetings with the cocoa sector, this is a stock-taking document that does not contain any policy proposals. Interesting is that an assessment is made of the effectiveness of sanction mechanisms, with a suggestion that there is no direct link between trade and WFCL. At the same time, there is a strong case for an indirect relationship between trade and WFCL. This knowledge leads to the question if sanctions can play a role. Studies find that trade restrictions are ill-suited to remedy child labor. Sanctions do not address the root causes of WFCL and aim at decreasing WFCL only in determined export sectors. In fact sanctions may well increase its incidence because families may be forced to send their children to perform work in non-traded areas of the economy, where the vast majority of WFCL takes place. Another interesting side topic in the SWP deals with the issue of traceability though voluntary certification. The Kimberly Process for rough diamonds is cited as a well known example. To implement a top-down measure, the EU would need to respect WTO rules on non-discrimination. This means that a traceability system related to WFCL would need to apply to all countries in the world that produce (or could produce) the product. Traceability works most effectively in cases of very simple supply chains and with very few economic operators involved. Equally, the product must be simple (e.g. with no or very few components) and must be distinguished easily depending on its origin. The market for the product must be totally transparent and the information on the origin of products must be fully available. This is not the case with cocoa. In addition, all countries that buy the product (or could do so) in significant quantities should participate in the scheme. Otherwise trade flows would simply shift away from countries requiring traceability to others that do not. Finally, there is a cost factor to bear in mind. Certification and control systems would need to be exhaustive—and would be most challenging in the countries where WFCL is most present: Least Developed Countries and other poor economies. Because of the difficulty in quantifying WFCL, the establishment of an effective traceability mechanism is likely to remain an elusive undertaking, according to the European Commission. With nearly 500,000 people in Nigerian cocoa producing states standing to benefit, WCF and Nigeria’s Federal Ministry of Agriculture and Rural Development announce $1.2 million in new funding to provide assistance to 70,000 cocoa farming households in at least 10 Nigerian states by 2015. The program will focus on business skills trainings and support for diversification of rural economies in order to increase cocoa farm household incomes. The program is expected to generate benefits for more than 480,000 Nigerians and help double household incomes within the next five to six years. The Nigerian partnership between the Federal Government of Nigeria and WCF builds upon the foundation of the WCF Cocoa Livelihoods Program (CLP), funded by the Bill & Melinda Gates Foundation and WCF member companies with partners from the German Development Agency GIZ and SOCODEVI. This partnership will ensure that the Nigerian program benefits from lessons already learned through CLP’s engagement in other West African cocoa-producing countries. “Nigeria has a history of a prosperous, viable and vibrant cocoa industry in the past. The cocoa industry provided us with foreign exchange and revenue, which built for us our enduring infrastructure, institutions, and edifices,” Minister Adesina noted. In carrying out the program activities, WCF will closely collaborate with Nigerian federal and state institutions, with active involvement of the Nigerian Ministry of Agriculture’s Cocoa Division, its Cocoa Transformation Agenda Team, and other local institutions. The Cocoa Transformation Team will lead and provide guidance and oversight on the overall program coordination, and will assist implementing partners with advice on specific technical issues, identification of innovative technologies, and leveraging other complementary programs. 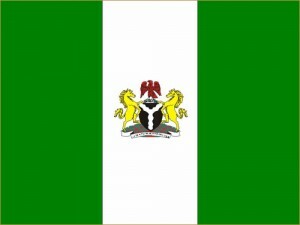 “The federal government is developing partnerships with countries and investors that are ready to invest in Nigeria. We are adopting the value chain approach from input supply to support on-farm production to value addition, local consumption and export of produce and products. Our goal is to eventually account for at least 25 percent of the world market, with an output of 500,000 MT by 2015, as we aim at the 1.0 million MT mark,” Minister Adesina continued. In April, WCF welcomed its first-ever Vietnamese Cocoa Borlaug Fellow, Le Cao Luong of Nong Lam University in Ho Chi Minh City. 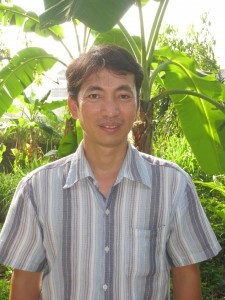 Le is an entomologist studying the most common insect pest of cocoa in Vietnam, Helopeltis sp. During his fellowship, Le is focusing on two topics: identification of Helopeltis species and development of methods to determine economic thresholds for pest control action. For the first part of his fellowship, he worked with the U.S. Department of Agriculture/Agricultural Research Service (USDA/ARS) Systematic Entomology Lab in Washington, D.C. For the second part of his fellowship, Le is working with the USDA/ARS Tropical Crops and Germplasm Research Station in Puerto Rico. Le’s fellowship concludes in mid-July, when he will return to Vietnam to continue his work pest identification and management. Along with two Cocoa Borlaug Fellows from Côte d’Ivoire, Le recently completed a tour of the U.S. side of the cocoa supply chain to learn more about this aspect of the process. WCF member companies visited included Camden International Commodity Terminal, Cargill, Mars Chocolate North America, and The Hershey Company. Early in his fellowship, Mr. Le spoke at the PMCA Annual Production Conference in Lancaster, Pennsylvania, on the topic of cocoa sector development in Vietnam. The Norman E. Borlaug International Agricultural Science and Technology Fellowship Program – Global Cocoa Initiative is funded and implemented jointly by the U.S. Department of Agriculture/Foreign Agricultural Service and WCF. It supports early to mid-career scientists from cocoa-producing countries, such as Vietnam, to complete two to three month fellowships in the U.S. at a university or other leading research facility. There are 1,180 public-domain varieties of cacao contained in the International Cacao Collection (IC3) at CATIE, the Costa Rica-based Center for Tropical Agricultural Research and Education. These varieties are a priceless genetic resource for current and future use. Since its creation in 1944, IC3 has undertaken an array of efforts to improve cacao and distribute and exchange germplasm. WCF has long been a key supporter of the conservation and maintenance of this non-renewable treasure, becoming the only source of external support during the last decade. Based on the extensive genetic diversity contained in IC3, CATIE, in collaboration with WCF, in 1996 initiated a successful global genetic improvement program. The main goals of the program are to identify sources of resistance to moniliasis (Moniliophthora roreri) and black pod (Phytophthora palmivora Butler), and generate disease resistant, high yielding and good quality varieties of cacao. Emphasis has been placed on the selection of moniliasis-resistant genotypes, the most devastating cacao disease, now confined to 13 countries in tropical America, but with great potential for dispersal into other continents. CATIE is the only institution with a permanent program devoted to this issue. In 2007, the program released a group of six outstanding clones that are part of different initiatives in Central America and Mexico. More than 6,000 families and many farmer associations now have access to these materials through a network of clonal gardens. Breeding efforts continue at CATIE, with support from WCF. The current improvement strategy consists of developing novel genetic combinations by performing successive cycles of crossing and selection among pre-selected parents. The goal is to accumulate as many favorable genes as possible in individual trees, which will subsequently be propagated to generate new clones. Results obtained by the program thus far bode well for improving the incomes and living conditions of farmers through use of superior planting materials. Continuation of this effort is essential to face new market demands and challenges confronting cacao production that are imposed by the rapid spread of pests and diseases, as well as the growing impact of climate change. The years-long relationship between CATIE and WCF is a good example of the importance that international collaboration brings to reaching these goals. *WCF gratefully acknowledges CATIE’s Dr. Wilbert Phillips-Mora, who provided this article. In Africa, WCF is working on five initiatives. The first is a new mobile phone based system to provide cocoa farmers with practical information on good agricultural practices that, when applied, can improve quality and quantity of cocoa yields. The program, funded by the U.S. Agency for International Development, will launch in Côte d’Ivoire, the world’s leading producer of cocoa, following a pilot project in Ghana. Also in Côte d’Ivoire, WCF announced the start of a new school construction project in partnership with member company Fazer to provide improved educational opportunities for children in cocoa-growing communities. In Nigeria, WCF announced a new partnership with the Federal Ministry of Agriculture and Rural Development to provide assistance to 70,000 cocoa farming households in at least 10 Nigerian states. The program will focus on business skills trainings and support for diversification of rural economies to increase cocoa farm household incomes. It could ultimately generate benefits for more than 480,000 Nigerians. Also in Nigeria, WCF is launching an internet-based technology to provide farmers with resources on good agricultural practices, nutrition, and other information valuable to farmers and the agricultural sector. 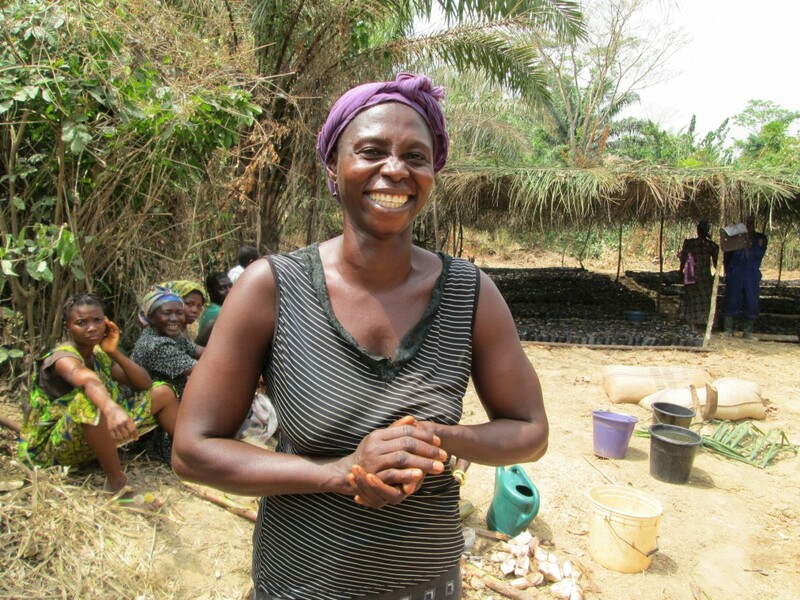 In Liberia, a WCF project funded by Chevron is focused on increased access to improved planting material and agricultural inputs, with the goal of increasing production and fostering economic development in rural areas of the country reaching 1,000 farmers and their households. For the first time in its history, WCF is receiving support for its activities in West Africa from a Japanese member company, Meiji Co., Ltd., which is injecting new private sector funding into an ongoing effort by WCF to increase farmer incomes Cameroon, Côte d’Ivoire, Ghana, and Nigeria. In Asia, WCF will partner with ACDI/VOCA to support a project in Indonesia to develop the country’s cocoa sector by helping farmers improve their productivity through innovations in mobile banking, microfinance loans, and ICT applications. WCF members Armajaro, Continaf, The Hershey Company, Mars, Mondelez, and Olam are supporting the project. In Latin America, WCF announced that it would hold its 24th Partnership Meeting in Santo Domingo, Dominican Republic, on October 15-16, 2013. This is the first time the Meeting will be held in the Caribbean and will be supported by WCF member contributions and the Dominican Republic Export and Investment Center. A wide range of leading cocoa sustainability experts from around the world will assemble again to discuss efforts to improve cocoa livelihoods and ensure a more sustainable approach to cocoa production. Since April 2013, WCF has welcomed new staff members Jackie Marks (WCF Communications & Marketing Manager – D.C.), Scott Rodriguez (WCF Grants and Finance Manager), and Victoria Woolner (WCF/ECHOES Program Associate – D.C.), as well as two new interns, Bridget McElroy and Maddie Bullock. We extend our best wishes to departing WCF staff member Michael Cullen (WCF Senior Program Director – D.C.) as he takes the next steps in his career path. We also congratulate WCF staff Valerie Beard, who is transitioning into her new role as Program Assistant: Southeast Asia, Latin America, and Research; and Katie Denman, who is transitioning into her new role as Office & Special Events Coordinator.